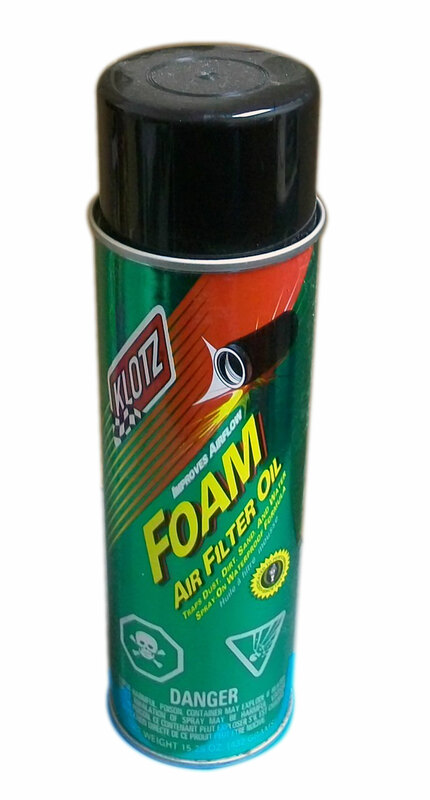 Klotz® Foam Air Filter Oil is for all street, off-road, and racing foam air filter applications. Foam Air Filter Oil is easy to apply and improves air flow. Super viscous formula forms an oil barrier to trap micron sized particles that would normally find their way through air filters. Will not gum up and dry out. Waterproof formula prevents clogging when wet.